2. You probably know you can press the space bar to scroll down a full page-length, but there’s another side to that shortcut: If you press Shift and the space bar together, Chrome will do the opposite and scroll upby a full page-length at a time. 9. Should you ever find Chrome mysteriously misbehaving, remember this command: chrome://restart. Type it into Chrome’s address bar, and your browser will restart itself and restore all your tabs and windowsin a jiffy. 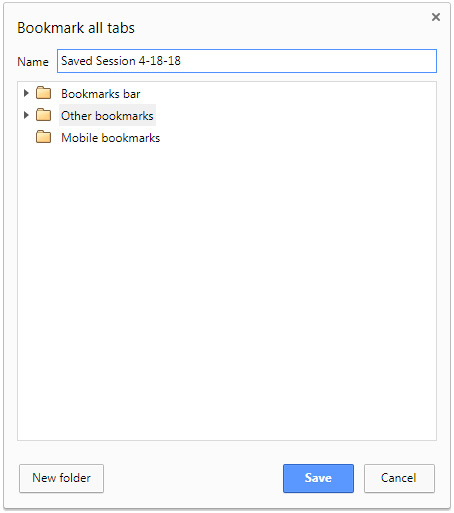 You never know when it might come in handy.
. . . and then save the page to your bookmarks bar for easy access. 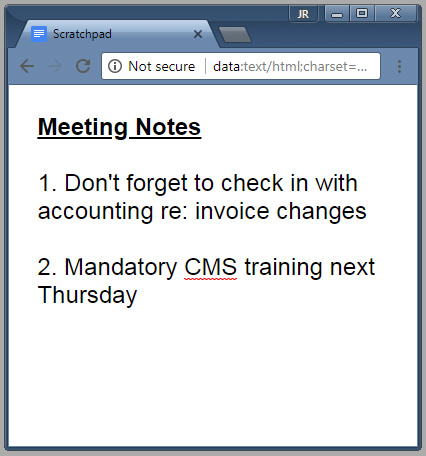 The scratchpad supports text formatting (Ctrl- or Cmd-B for bold, Ctrl- or Cmd-I for italics, and Ctrl- or Cmd-U for underlining) and even has a built-in spell check feature. Just open it and start typing—and if you want to save your thoughts for later retrieval, hit Ctrl- or Cmd-S.
24. Sick of getting those pop-ups asking if some site can send notifications through your browser? 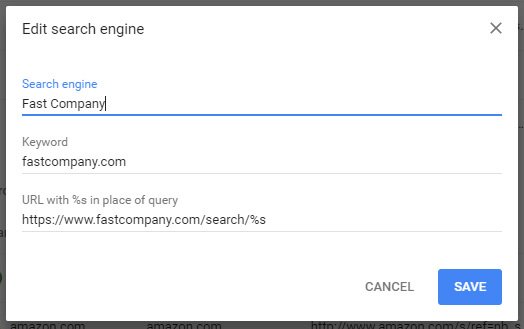 Turn off site notifications entirelyby opening Chrome’s settings, clicking “Advanced,” then clicking the line labeled “Content settings.” Next, find and click the line for “Notifications” and turn the toggle at the top of the page off.